This cartoon was inspired by the “once every hundred years” floods that occurred in Cumbria in the UK twice in six years. A cartoon about floods, flooding, extreme weather, climate change, global worming, the environment. As global warming results in more floods there will be a greater demand for boats. 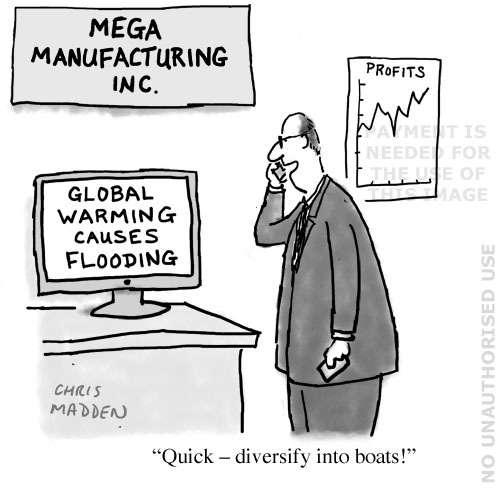 The cartoon shows a businessman suggesting that his manufacturing company diversify into ship and boat building. 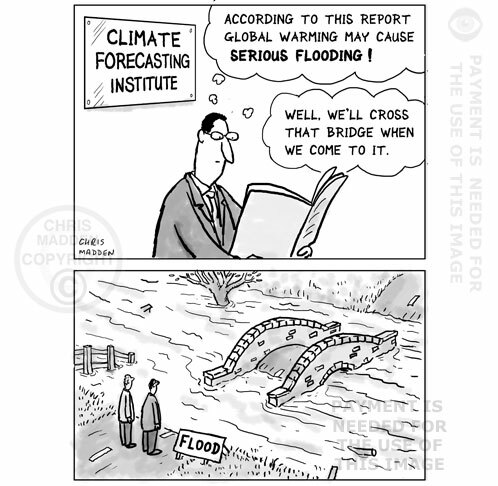 Cartoon illustrating the consequences fossil fuel causing flooding. A comment on postponing taking action about global warming, using the saying “We’ll cross that bridge when we get to it”. Unfortunately, due to flooding, the bridge can’t be crossed. 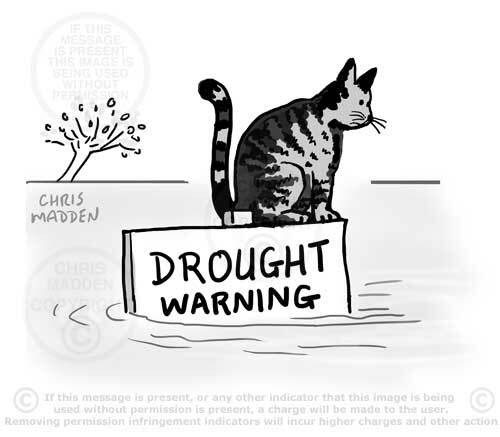 A cat taking refuge from a flood by sitting on a sign that warns of drought. The cartoon was drawn as a reaction to the very wet weather and floods that followed a period of very dry weather here in the UK in April 2012. If climate change causes floods on biblical proportions is Noah’s ark the solution? The Great Wave by Hokusai is frequently appropriated by cartoonists, often to represent disasters. 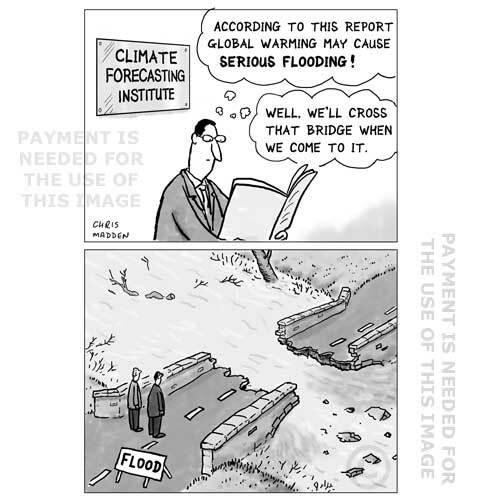 Cartoon illustrating the consequences of the fact that fossil fuel use may be responsible for flooding.